Via The Flight Deal, you can fly American Airlines between Miami and New York for ~$126 round-trip in coach. Or you can fly between Chicago and Los Angeles for only ~$80 round-trip! 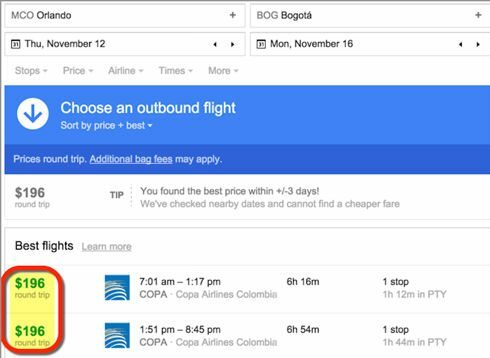 And Copa Airlines has cheap flights from Florida to Colombia starting at ~$192 round-trip in coach. Travel dates vary for each destination, but all are valid this autumn. 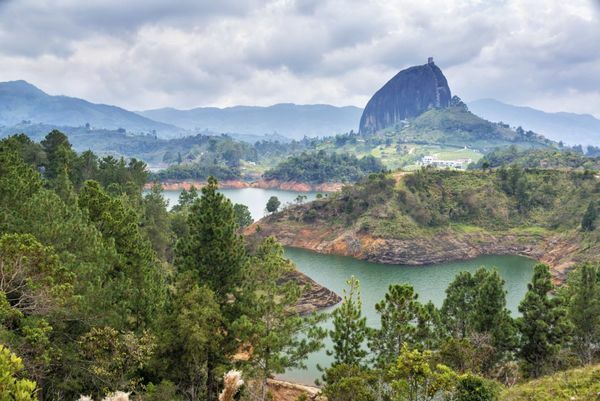 Fly from Florida to Colombia for Under $200 Round-Trip! You can search for this fare using ITA Matrix or Google Flights, then book it on the airline websites. These fares will go fast! Note: If you book a ticket with an online travel agency like Orbitz or Expedia, you may be eligible for a refund within a short time of booking your ticket. Check out my post on cancellation policies for airlines and online travel agencies for more details! Note: You can hold a reservation on American Airlines for up to 24 hours and get a full refund if you change your mind. And if you have the Citi AAdvantage Executive World Elite Mastercard, you get 1st bag checked free for yourself and up to 8 companions traveling on the same reservation! American Airlines has flights between Miami and New York for ~$126 round-trip. The fare is good in both directions! I found lots of flights available in October or November! The fare is valid until early December 2015. You must depart on Tuesday, Wednesday, or Saturday and purchase your ticket at least 21 days in advance. American Airlines also has flights between Chicago and Los Angeles for ~$80 round-trip. That’s a great deal! But flights are extremely limited. I found flights in October for ~$80! What a Deal! Round-Trip Between Los Angeles and Chicago for Just ~$80 in Coach! The fare is valid from late October 2015 to early November 2015. You must depart on Tuesday, Wednesday, or Saturday. There’s a 21-day advance purchase required. Note: It looks like United Airlines is matching the fare, but I don’t know how much longer it will last! There are also 2 great deals under $200 from Florida to Colombia on Copa Airlines! Fly on Copa Airlines from Fort Lauderdale to Bogota or Medellin, Colombia, for ~$192 round-trip in coach. I found flights in October for ~$192, and there were several flights to choose from! This fare is valid until November 12, 2015. There’s a 3-day advance purchase requirement. For folks in Orlando, Copa Airlines also has Orlando to Bogota, Colombia, on sale for ~$196 round-trip. Under $200 to visit South America is a great deal! This fare has many more open dates. It’s valid until November 2015. And from mid-January 2016 to March 2016. You must purchase your ticket 1 day in advance. I found flights in October and November for ~$196 round-trip! What If You’re Not in 1 of These Cities? British Airways – If you’re a short flight away from an included city, you can save miles by using British Airways Avios points to book an award flight on American Airlines. Chase Ultimate Rewards points, American Express Membership Rewards points, and Starwood Preferred Guest points transfer to British Airways. 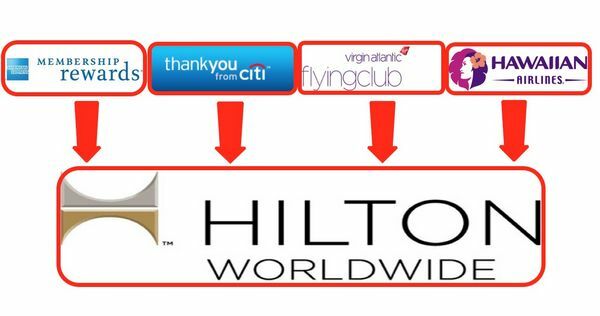 Transfer Your Flexible Points to Hilton for Big Travel! Airbnb is a great way to save money on accommodations, especially for longer stays. Read my tips on how to negotiate a better price on Airbnb! You can fly American Airlines between Miami and New York for ~$126 round-trip in coach or between Chicago and Los Angeles for only ~$80 round-trip! Both fares are good in either direction! Travel between Miami and New York until early December 2015. And travel between Chicago and Los Angeles from late October 2015 to early November 2015. On both fares, there’s a 21-day advance purchase requirement, and you must depart on Tuesday, Wednesday, or Saturday. Copa Airlines has cheap fares from Florida to Colombia. Fly from Fort Lauderdale to Bogota or Medellin, Colombia for ~$192 round-trip in coach. Travel until November 12, 2015. You must purchase your ticket at least 3 days in advance. Orlando to Bogota, Colombia, is also on sale for ~$196 round-trip until November 2015, and from mid-January 2016 to March 2016. Buy your ticket 1 day in advance. Cheap fares like this will NOT last! This is a terrific opportunity if you’re looking for a getaway this fall!